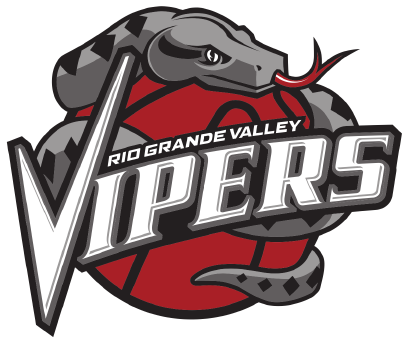 HIDALGO — RGV Vipers coach Matt Brase attributed his team’s one-sided loss to the Grand Rapids Drive on Friday to a lack of competing. The Drive handed the Vipers a 129-101 defeat, marking RGV’s fourth loss in its past five games. Grand Rapids (15-18) shot 54.0 percent for the game and 51.3 percent from beyond the arc, becoming the first team this season to make 20 3-pointers against RGV (19-13). The Vipers held a one-point lead after the first quarter, but the Drive led 62-51 at halftime. Grand Rapids turned the game into a blowout during the third quarter, using a 20-1 run over a span of four minutes to take a 98-62 advantage with 3:34 remaining in the period. The Drive scored 45 in the third quarter, tying the most points the Vipers have yielded in a quarter this season. Grand Rapids hit 18 of 28 shots from the field and 7 of 9 from beyond the arc during the period. The Vipers also struggled on offense, shooting 45.5 percent from the field and 25.0 percent from beyond the arc. Lewis, Chris Walker and Troy Williams tied for the team lead in scoring with 16 points apiece, while RJ Hunter added 15 and Monte Morris had 12. Chinanu Onuaku scored eight points with 12 rebounds. RGV’s most glaring mark was a 13-for-28 (46.4 percent) showing at the free-throw line. Walker made just 4 of 12 at the charity stripe. After the game, he returned to the State Farm Arena floor for a few extra free throws. The Vipers also suffered a loss off the court on Friday, as the Denver Nuggets announced that Tyler Lydon had undergone successful arthroscopic surgery on his left knee after suffering an injury playing with RGV on Wednesday. The Nuggets said there is no timetable on Lydon’s return. Lydon had averaged 12.6 points and 8.5 rebounds per game in 15 appearances for the Vipers this season. Isaiah Hartenstein (ankle), Cleanthony Early (foot) and Tony Wroten (ankle) also missed Friday’s game due to injury.